Truly, we should give thanks for and love our enemies, at least the “intellectual” ones, for what better guides are there to the good stuff? For example, if we didn’t already know Lovecraft, how would be discover him if the goodthinkers like China Mieville didn’t tell us that Lovecraft he was eeee-vil? Now, take this Goldwin Smith chap. Not being a swell Cornell alum, I knew him not, until the Cornell goodthinkers decided to knock him around for me. In 1868, Andrew Dickson White assembled a distinguished faculty to teach at New York’s new land-grant institution, Cornell University. None was more eminent than Goldwin Smith, the Regius Professor of History at Oxford University, who left his prestigious chair in his prime, at age forty-five, to teach European and English history in Ithaca. Smith lent credence to White’s intention to create a truly great university in Upstate New York. 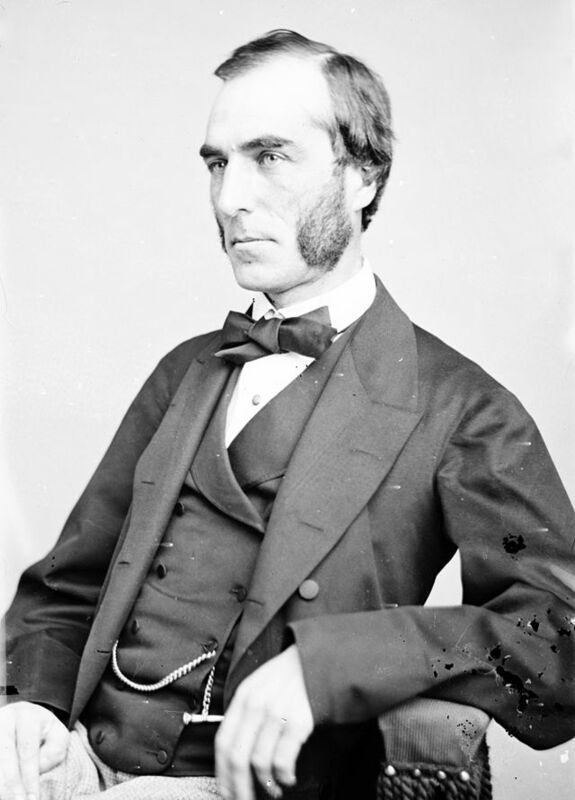 Smith helped shape the anti-semitic politics of Canada at the time, especially through Henri Bourassa and [Prime Minister] Mackenzie King, two men who adopted many of Smith’s views and demanded that Canada keep its gates shut to Jewish immigrants. Smith proposed two possible solutions to the “Jewish problem”: assimilation or repatriation to Palestine. A major exponent of anti-Semitism in the 19th century was the prominent writer and critic Goldwin Smith. A pathological anti-Semite, Smith disseminated his hatred in dozens of books, articles and letters. Jews, he charged, were “parasites,” “dangerous” to their host country and “enemies of civilization.” His bilious anti-Jewish tirades helped set the tone of a still unmoulded Canadian society and had a profound impact on such young Canadians as W. L. Mackenzie King, Henri Bourassa and scores of others. Indeed in 1905 in the most vituperative anti-Jewish speech in the history of the House of Commons, borrowing heavily from Smith, Bourassa urged Canada to keep its gates shut to Jewish immigrants. In an unpublished article called “Canada needs more Jews” he put forward a notion picked up from Wyndham Lewis that the importation of two million or so Jews might liven the place up. I have to ask: while I can certainly see why the Judaics and their courtiers would find this offensive, and prefer it not be said — hence, censored and punished — what exactly in this account of Judaic bumptiousness is not true? I do not think that any good can be done by joining in what has now become an attack on the Russian Government. That Government has a desperate problem on its hands, and is apparently trying to solve it in the only way which, if the Jews persist in their attitude and habits, can be effectual by the separation of the races. I see no other mode of escape from these hideous conflicts. Set on foot a movement to give the Jews back their own country, and I will take part in it with all my heart. Zionism has failed to ameliorate friction because it merely opened up another front in the conflict between Jewry and the nations. The conflict among the Europeans persists because Jews, and therefore Jewish behavior, persists among the Europeans. The conflict now also takes place in a different theatre, in the Middle East, because Jews, and therefore Jewish behavior, exists in that place also. Jews will continue to provoke criticism and aggression until they either depart from, or are forced from, the location of their activities, or until they abandon the fiction that they are blameless and alter their behavior. History, as always, indicates the likely outcome. And how dumb are these Cornell grads who only just now found out? Goldwin Smith actually has a Wikipedia article explaining that he wasn’t, in fact, Jewish (due to a fabricated quote favored by the Old Right anti-Semites) and was an opponent of them. Even putting his name into Google quickly reveals this to be the case. Indeed, this “offensive” article  (“New Light on the Jewish Question,” The North American Review Vol. 153, Issue 417 [August 1891], pp. 129-144) can be found hosted on Cornell’s own website! You can read it for yourself, here . It’s in his book, Essays on Questions of the Day (MacMillan, 1894), reprinted in 1972 by Books for Libraries Press (Freeport, New York), which is also available in kindle and other e-reader formats for free at archive.org. I highly recommend it, for its temperate discussion from an 19th-century liberal or even Progressive perspective; especially on the inconsistency of Christians who reinterpret or dismiss Old Testament talk of the Messiah yet treat the Jews as a Chosen Race, as well as some grudging respect for the Orthodox Church which should delight both Traditionalists and Putinites. Though as a good Liberal he cannot abide its “mysticism” (this seems congruent with the interest in Eastern Christianity among the old-school Traditionalists, even including Alan Watts) he grants that the faith, at least at the level of the peasantry, has never had any interest in imposing its beliefs on the Jews among them. Persecution is not the tendency of the Russian or of the Church to which he belongs. The Eastern Church, while it has been superstitious and somewhat torpid, has been tolerant, and, compared with other orthodox churches, free from the stain of persecution. It has not been actively proselytizing, nor sent forth crusaders, unless the name of crusades can be given to the wars with the Turks, the main motive for which, though the pretext may have been religious, probably has been territorial ambition, and which were certainly not crusades when waged by Catherine, the patroness of Diderot and the correspondent of Voltaire. At one end of a village is the church, at the other the mosque, and the Mahometan spreads his prayer carpet on the deck of a steamer full of Orthodox Russians. It does not seem to be alleged that any attempt has been made by the government at forcible conversion. Whatever may have been the harshness or even cruelty of the measures which it has taken to confine the Jews to their original districts and prevent their spreading over its dominions, its object appears to have been to protect the people against economical oppression and preserve the national character from being sapped by an alien influence, not to suppress the Jewish religion. The law excluding the Jews from Great Russia in fact belongs to the same category as the law of the United States excluding the Chinese. Oh, for a return to the good old days, when Liberals praised the mild, ecumenical rule of the Czars! 1. See my “The Horror! The Horror! Reflections on the H. P. Lovecraft Award, here . 2. See “Goldwin Smith: Anti-Semite?” by Glenn Altschuler & Isaac Kramnick; Cornell Alumni Magazine, Tuesday, 03 March 2009, here ; and “Goldwin Smith’s Anti-Semitism Fuels Anger” by Danielle Davis; Scholars for Peace in the Middle East (SPME), May 1, 2009, here . To be fair, my actual tip-off came from the Institute for Historical Research, whose news accumulator  is invaluable. 3. Semitic Controversies, here , quoting the Canadian Encyclopedia, here . 4. Marshall McLuhan: The Medium and the Messenger : a Biography by Philip Marchand (MIT Press, 1998), p. 82. Marchand notes that McLuhan did feel the Jews had “a few strikes against them” such as clannishness and ostentatious displays of wealth, so by today’s standards he’s just another anti-Semite anyway. 5. Commenting on Jonathan Bowden’s talk on Lewis, Rhondda says that “Apparently, Mr. Lewis hated Canada and his novel Self-condemned [Self Condemned (1954); reprinted by Voyageur Classics in 2010] is all about how odious Toronto is. I guess I will have to read it as I am not fond of that city either. The heroine commits suicide out of hate for Canada. That is quite rich. … I can see why he hated Toronto when it was known as Toronto the good and they hated outsiders. It’s a Puritan thing.” To which Alex Kurtagic adds “Wyndham Lewis lived in penury while in Canada, and he felt the establishment there had been slow and reluctant to acknowledge his presence. Tried as he may, potrait commissions hardly materialised at all (and in one case he offended his patron by doing an unflattering portrait because he disliked the subject). He felt the local academic establishment was hostile to him and speaking events were thin on the ground.” Online here. Constant Readers will recall that I, for my part, just sank into it like a warm bath. See Greg Johnson’s interview here. 6. “Asked once why Robert Kennedy refused to appear on “Firing Line,” he replied: “Why does baloney reject the meat grinder?” — “There’s no stopping Bill Buckley” by Jeff Jacoby; The Boston Globe, July 1, 2004; here . For a review of Judaic bumptiousness, and their culture-distorting response to it, see John Cuddahy’s The Ordeal of Civility: Freud, Marx, Levi-Strauss, and the Jewish Struggle With Modernity (Beacon Press, 1987), and, for the Judaic riposte (some decades earlier; talk about being on the intellectual cutting edge!) see Maurice Samuel’s You Gentiles (1924, many editions since, free at archive.org and even newly kindlized here . 7. Quoted from Semitic Controversies, here . 8. “Jews, ‘Israelis’ and the Israel Lobby” by Andrew Jocye; Occidental Observer, October 16, 2014, here . 10. See his positive remarks on the Orthodox Liturgy in his autobiography, In My Own Way. 11. He also finds their priests to be relatively uneducated, but for all that preferable to the wily, worldly Jesuits.